Shampoo is one of the personal care products we’re using on a daily basis, or every few days, depending on how often we need to wash our hair. Sure, we all want our shampoo to smell good and be effective, but what’s also important is what’s in it. If you scan the ingredient list on a bottle of a shampoo, you’ll probably notice that many shampoos include sulfates, sometimes listed as SLS or sodium lauryl sulfate. Sulfates are chemicals which are added to shampoos to create lather and dissolve oil. In a nutshell, they are foam makers and very effective cleaning agents. However, their effectiveness at removing oil and dirt from hair can often be a problem. Not only SLS cleans the hair, but it may also strip the hair from its natural oils and natural protectants, dry the strands and irritate the scalp. This is where sulfate free shampoos come in. What are sulfate free shampoos? As the name indicates, sulfate free shampoos do not contain sulfates. Instead they are formulated with a milder type of cleaning agents that perfectly clean the hair and scalp but leave the hair healthy. Sulfate free shampoos are formulated with gentle cleansing agents. They have the ability to purify each strand without stripping the hair of its natural oils, protectants or color. This is why it is important that people with color treated hair or with dry and brittle hair use sulfate free shampoo. Sulfate free shampoos are generally great water and time saving hair products. Choose a shampoo that rinses out quickly and thus save your precious time. It’s a win-win situation. You will both save water and be everywhere on time. When it comes to maintaining healthy and shiny hair, using SLS free shampoos is very important. Sulfate free shampoos cleanse the hair without stripping the essentials oils and retain the natural moisture in hair, leaving it clean but not damaged at all. Thanks to their plant-based formulations, sulfate free shampoos are not only safe for the hair but also safe for the environment. 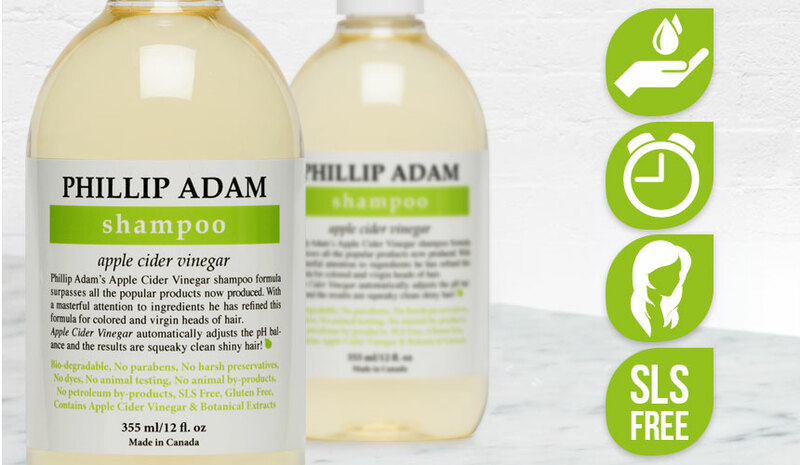 Whether you’re looking for a sulfate free shampoo for fine hair or sulfate free shampoo for colored hair, or maybe a sulfate free shampoo for curly hair or dry hair, Phillip Adam has got you covered. 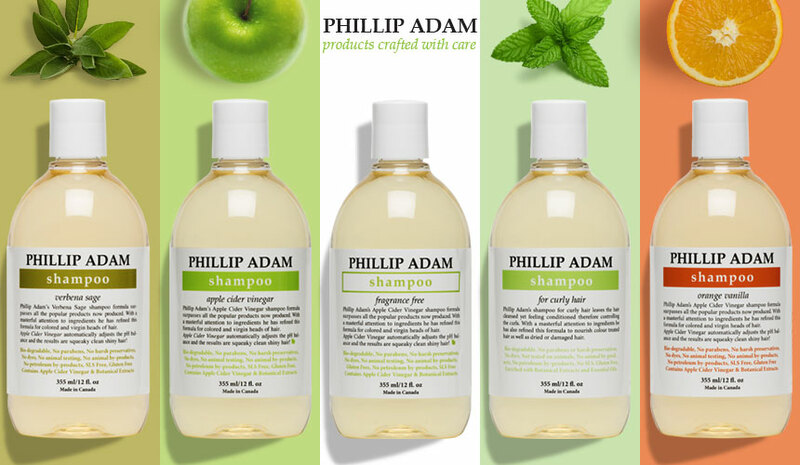 All Phillip Adam shampoos are SLS free and safe for the whole family and everyday use. The lather they create works great on all hair types leaving the hair squeaky clean. They add natural shine to hair, help maintain a healthy pH balanced scalp, transforming dull hair into soft and silky strands.